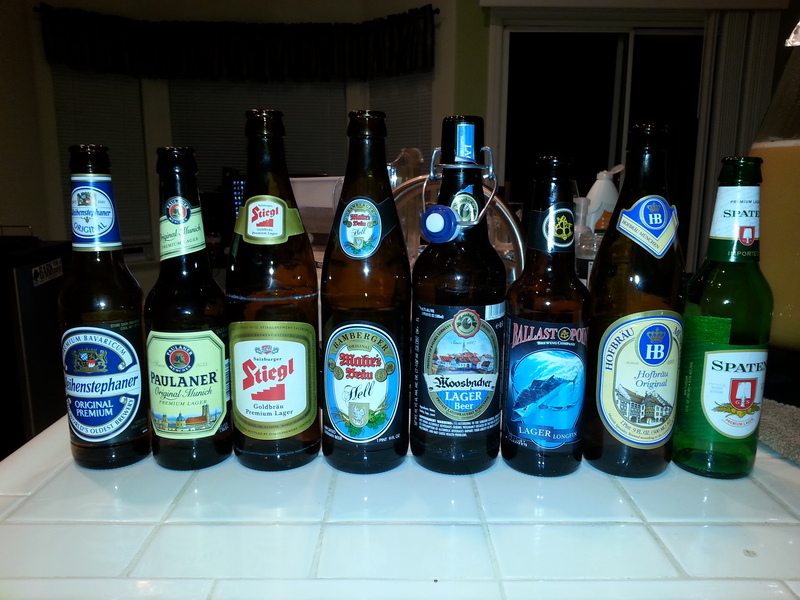 I know it seems like I only have the Munich Helles style on my brain lately, and to some extent that is true. 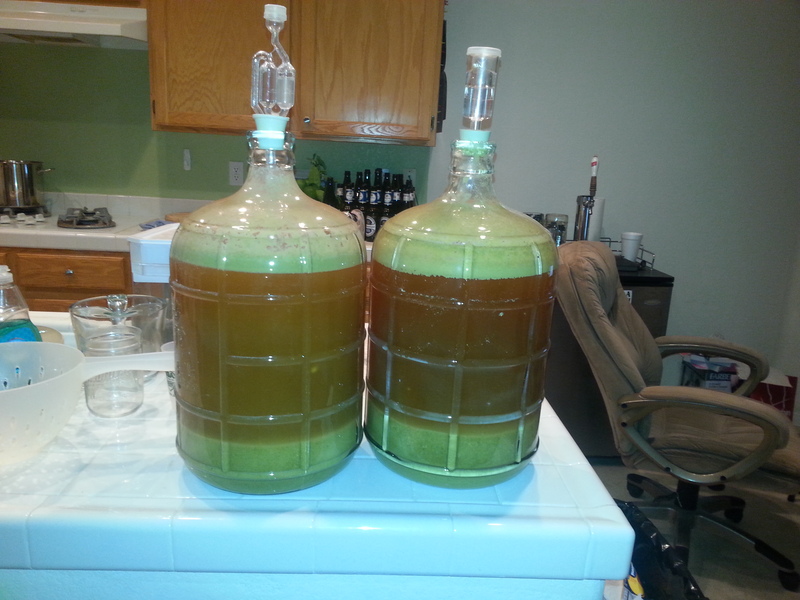 I have 3 batches brewed up and fermenting and I already have the ingredients to make 2 more. Nevermind how I’m going to find the space for them all in this freezer. But there is hope for all you non-Helles fans. I’ll be re-brewing a few versions of my Purring Kitten Session IPA to (hopefully) have ready for a big competition in Reno on November 2nd. 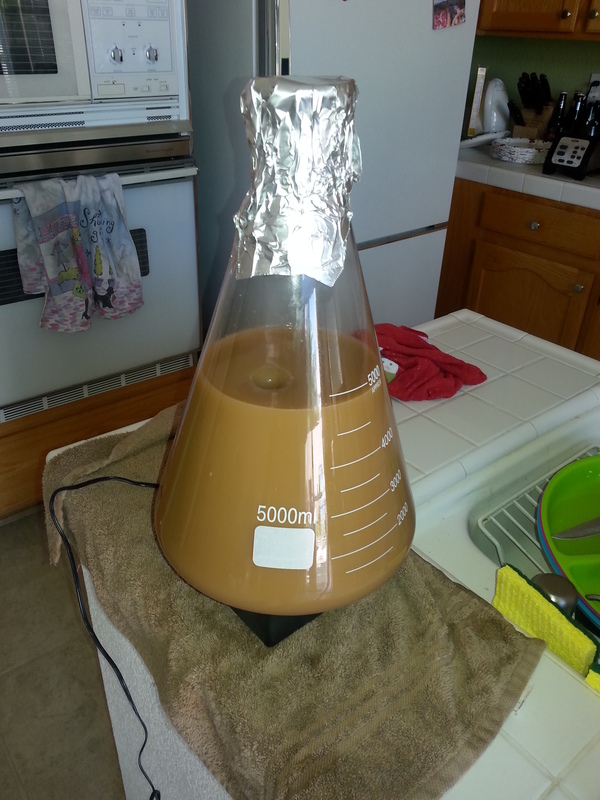 Also, I cleaned out all the old (non-Brett or sour) yeast vials from my refrigerator (and combined them with all the trash can-destined expired Wyeast smack packs I got from UBottleIt) and made a monster 5L starter. 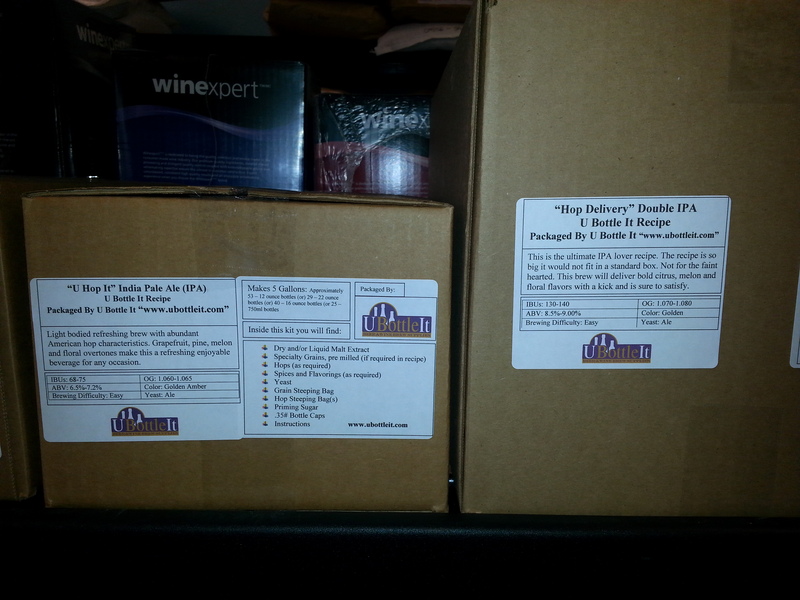 The blend has 15 different kinds of yeast and is 24 vials & packs total. 7 Belgian styles, 1 German, 5 American, & 2 British. I’d like to do a big weird Russian Imperial Stout or Barleywine and then add honeycomb sticks (from Black Swan) soaked in bourbon. 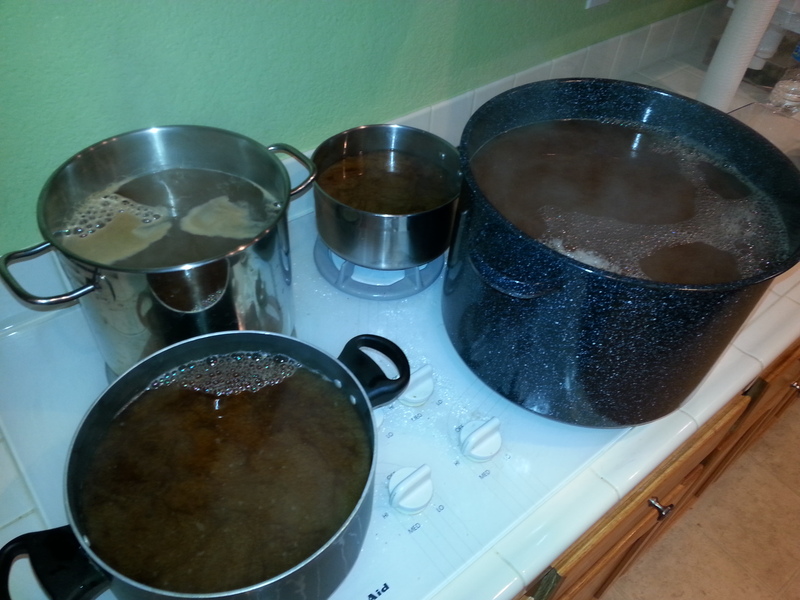 I’ll have to see how the starter wort tastes before I waste time brewing a beer for it though. 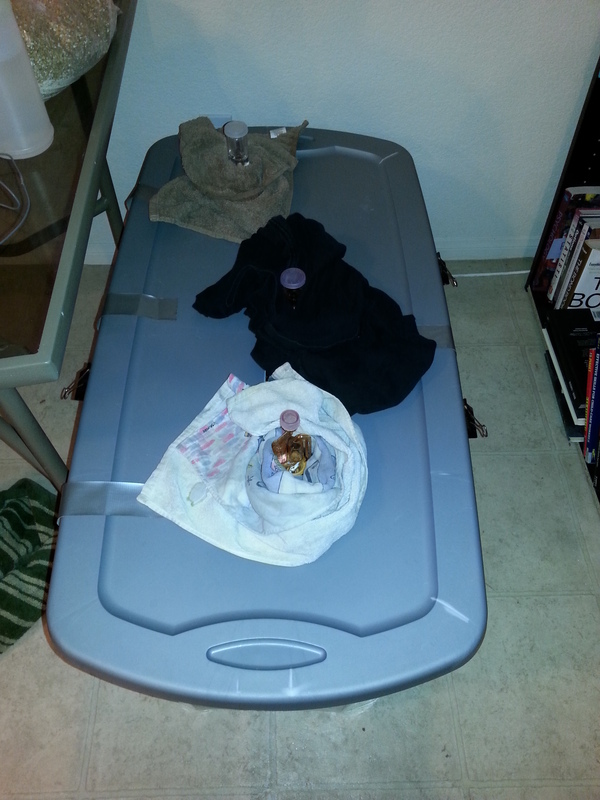 I’ll also have to use the bathtub or my ghetto (yet award-producing) swamp cooler-ish Walmart container to keep fermentation temps under control, as I doubt any of the 15 yeasts want to work with 49-54 degrees. 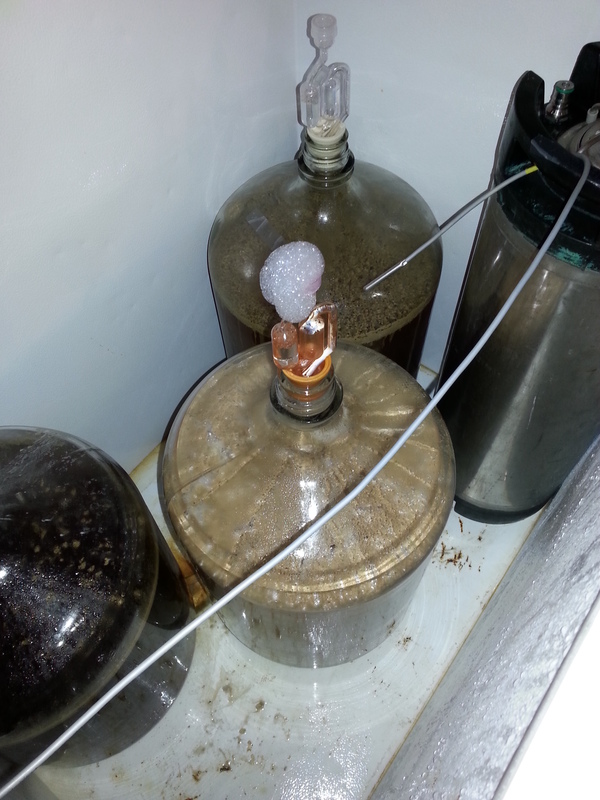 UPDATE: The Franken-starter wort tasted pretty meaty. I did not have confidence in its ability to do the job. With all that said, I bought some Helles beers to drink and talk about! I can hear the applause now! Mind you all of these beers were purchased warm on well-lit shelves, so any impressions I have may not reflect how I’d feel about the beer in a fresher and more properly-treated state. Weihenstephaner Original Premium – 90 on Beer Advocate – Very light color, light bready nose with little to no hop presence, very little hop bitterness, pleasant rounded finish with just a touch of malt character. Very easy drinker. If anything I almost want a little more out of it. But all in all a very nice beer. Believe it or not, I don’t think I’ve ever had this beer. I love their Hef and I fell in love with this style a while back, but I guess ‘Original Premium’ never led this horse to Helles. Come to think of it, I only knew this was a Helles because I was looking for more examples of the style on Beer Advocate. The ‘rounded’ malty finish on this that I so enjoy leads me to believe that ignoring the Munich water profile and going for a Chloride to Sulfate ratio that favors a more malty finish (according to John Palmer) could be the best approach. 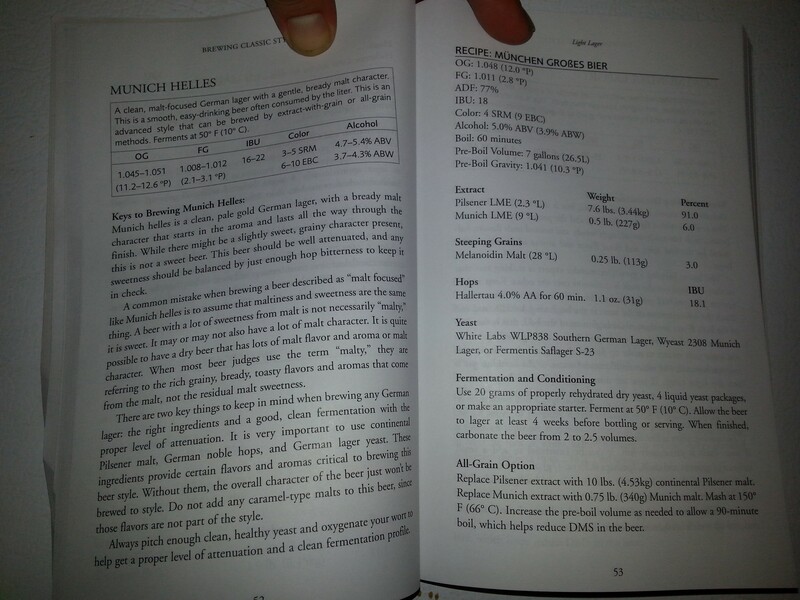 However, I likely will brew a basic Helles with ‘Munich water’ just to see if I can prove his point. Paulaner Original Munich Premium Lager – 84 on Beer Advocate – Another very clear light golden beer, very similar nose to the previous with just a touch of baking bread, finish deviates a little as it is a touch drier with a little more hop character and perhaps a little oxidation. It almost seems to have just a hint of banana or vanilla in the finish as well. This is another very enjoyable beer. I’d be happy as a clam if either of these first 2 beers were the keg pouring at a house party. I’m really impressed by how well these really light lagers hold up to age and less than ideal temperatures. 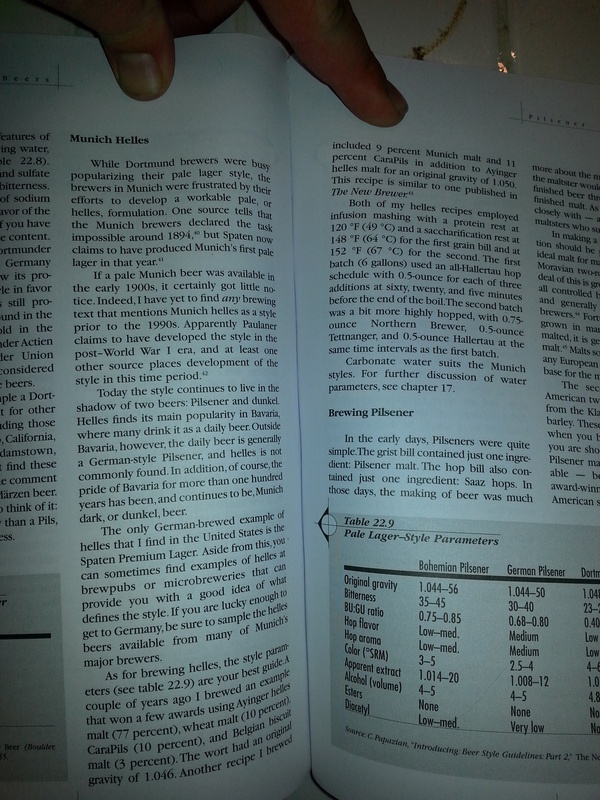 It makes me want to go re-visit Germany sooner rather than later. 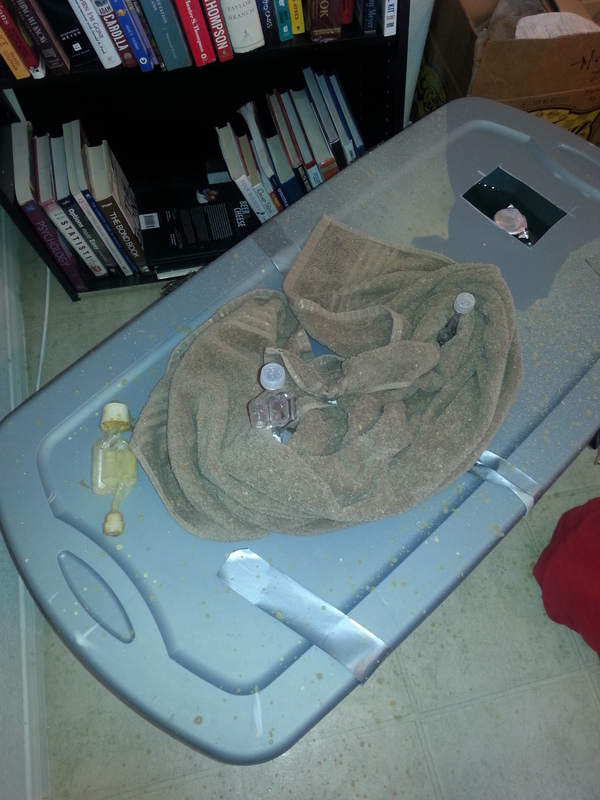 Get the futon ready Mike ‘Basucher’ Werner! Stiegl Goldbrau Premium Lager – 80 on Beer Advocate – So it would appear that Stiegl Leicht is actually their 3.3% Helles and I was lied to by a tiny placard at my local beer store. This is apparently a Marzen/Oktoberfest. It’s certainly darker than the first 2 beers, more carbonated, and has a little more pronounced toasty malt character. This is a prime example of why you have to be fairly beer savvy to even discover this style, let alone be able to reliably hunt it down. All in all, this is not a bad beer and pretty light for what I associate with an Oktoberfest. Unfortunately I don’t know the German word for ‘tweener’. Mahr’s Hell – 89 on Beer Advocate – This is a beer I’ve very much enjoyed as an occasional treat lately as it is $6 for a Euro torpedo bottle. I get a touch of not quite skunk, but something a little off on the nose from this bottle. The flavor and finish are still nicely malty and rounded with hints of vanilla. This is another Helles that steers me toward brewing with minimum hop presence and a water profile that plays up the malt and rounds out the flavor. On a side note, I’m glad I’m forcing myself to have all of these beers in one sitting as I’ve discovered I like Weihenstephaner better than Mahr’s. That means I can switch from $6 bottles to $9.50 six packs. Who says beer blogging doesn’t pay? Moosbacher Lager – 81 on Beer Advocate – Possibly a shade darker than the others, nose is pretty light in all departments, pretty light finish with once again hints of malt and vanilla. It seems to be lacking a little malt oomph in the finish that a couple others had. Although a blind taste test with a style this subtle would be pretty daunting. As I drink more of it I’d say find the cheapest Helles you like and stick with it. $9.50 for a Weihenstephaner sixer still leads. 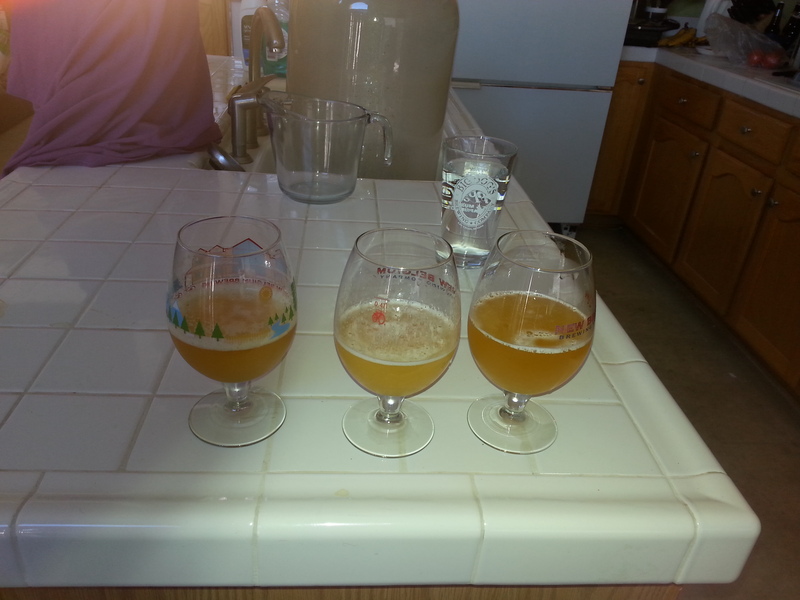 Ballast Point Longfin Lager – 81 on Beer Advocate – Wow! My previous impressions of this beer have been that it had a touch too much hop character and finished a little dry for a Helles. This bottle I’m drinking seems pretty heavy in the DMS department. The BJCP guidelines describe aroma expectations as: “Low to moderately-low spicy noble hop aroma, and a low background note of DMS (from Pils malt).” This is pretty big cooked corn in flavor and aroma. Not my favorite, but again this isn’t typical of the last 3 six packs I’ve had of this beer. Hofbrau Original – 85 on Beer Advocate – Another very clear beer, might be a slight bit darker than some of the others or might be my weird lighting by my pc, well carbed, don’t get a ton in the nose (maybe a little malt & the tiniest bit of smoke) but the finish has a solid malt presence, water profile may be cause for a slightly less rounded finish than others, a little better hop presence in finish too. I find this beer perfectly enjoyable, but then again I’m a few Helli in. Spaten Premium Lager – 83 on Beer Advocate – Not much skunk despite the green bottle, finish has a little more hop and not the same roundedness of some of my preferred brands, not quite as pleasant as a number of the others. I’ve found I like my Helles malty without being under-attenuated or cloying and pretty absent in the hop department. Even trying to differentiate between these beers has given me a great appreciation for the difficulty level of brewing one well. 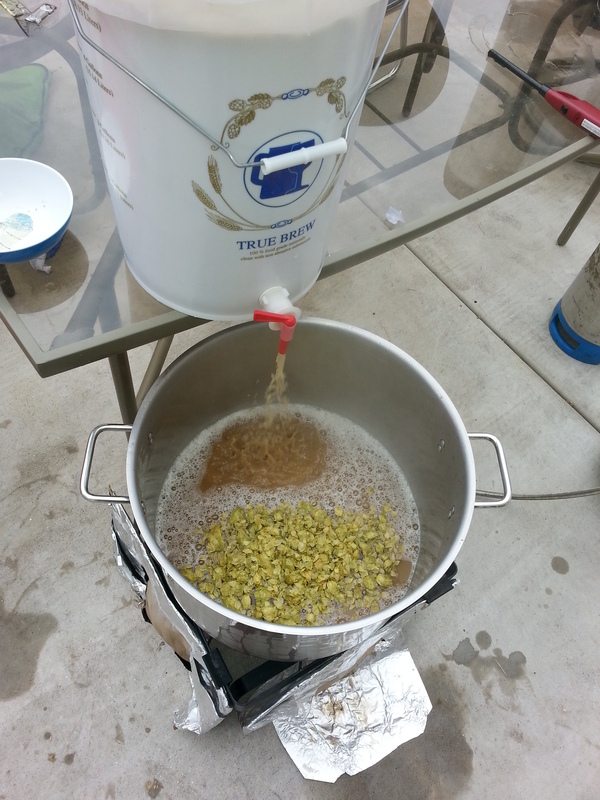 I’m considering dry hopping a Helles, and while Citra is awesome with everything, I debate trying a noble hop or a new German hop like Opal or Saphir. 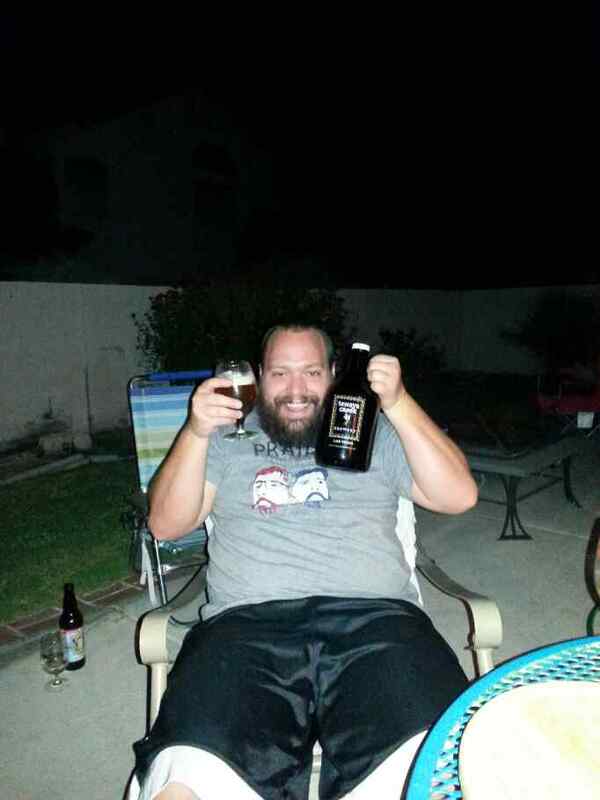 Finally, I want to say cheers to my friends at Tenaya Creek Brewing Co. I’m pictured here drinking a growler of their Local 702 Pale Ale. Genius marketing and a very good beer. 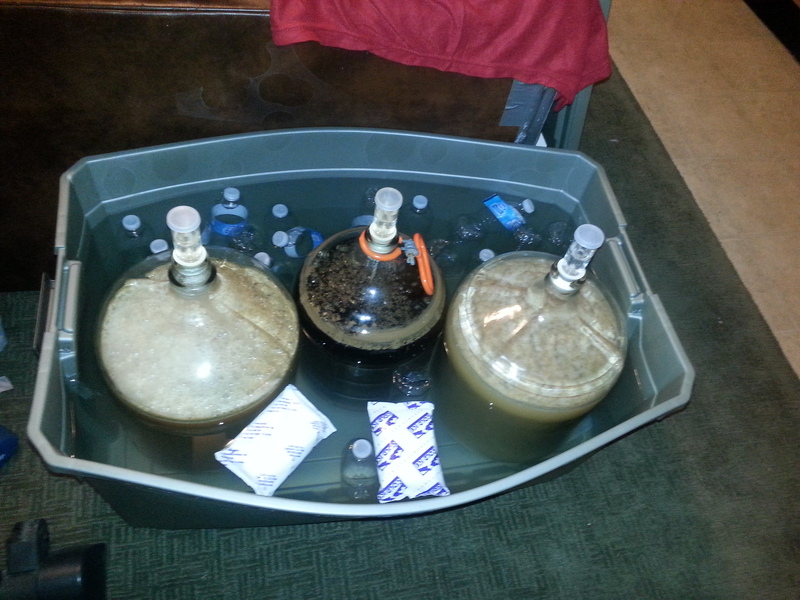 Party on my brewing brethren! First, big thanks to everyone that came out and survived the downpour(s) at Summerfest on Saturday. We raised the bar again for best day in Draft House history, so needless to say I’m excited to try and help kill it again for Dogtoberfest. Anyway, on Thursday I’m hoping to brew a Helles here at home. 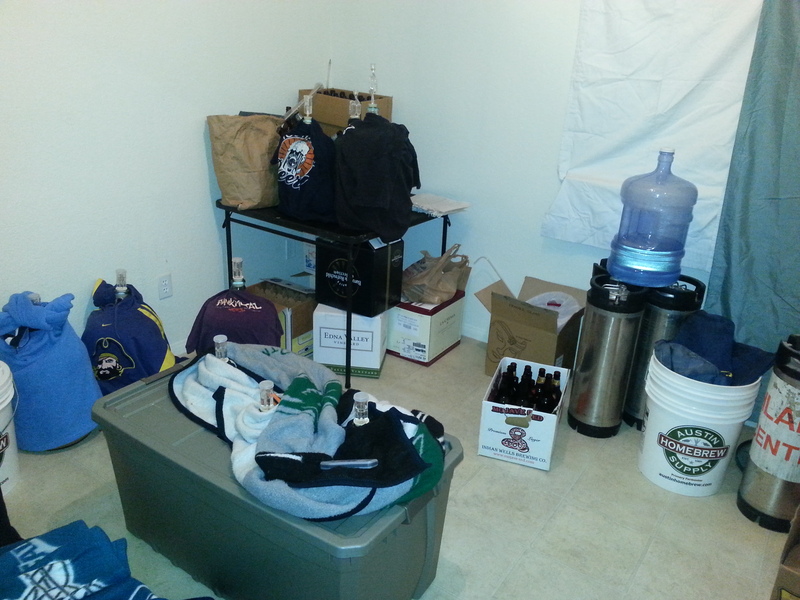 It will be both my first brew in the new place & the first lager I’ve ever brewed. I’m shooting for brewing 3 or 4 different recipes in the next couple weeks, but we’ll see what brewing life brings my way. Assuming any of them turn out good I’ll either have a few of my certified judge friends grade them, ship them off to contests all over the country, or both. Mostly I’ll drink them. Before I go any further I do want to acknowledge that my interest in this style was almost exclusively kindled by my good friend & brewer at Joseph James, Weston Barkley. 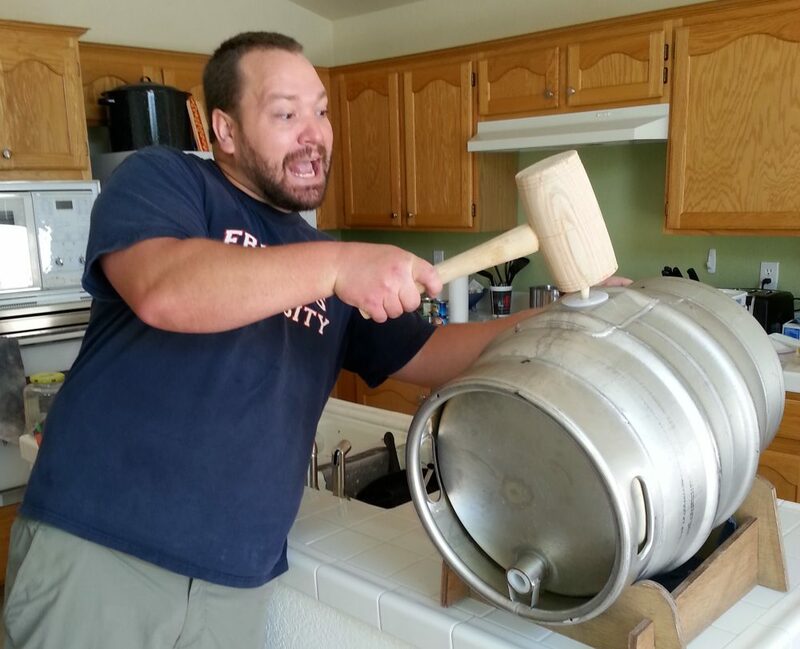 If he weren’t a pro brewer himself I’d be tempted to stage a fake Big Dog’s Pro-Am contest just to be able to brew his Helles recipe on a large scale. And drink it on a healthy scale too. I’ve reached out to him to see if he has any interest in sharing the recipe for you fine folks. Assuming Weston won’t come to your house and brew a Helles for you, I’ve found Mahr’s Hell to be a pretty nice (albeit not cheap) replacement. 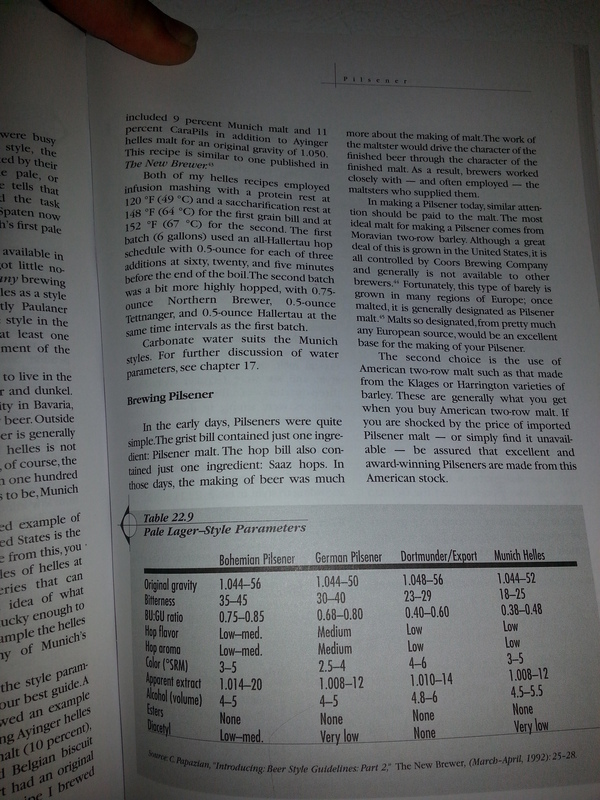 The first book I look to whenever I want to brew a new style is Brewing Classic Styles. The second is usually Designing Great Beers. I strongly urge you to buy both books as they are very useful references and they support very worthwhile people. 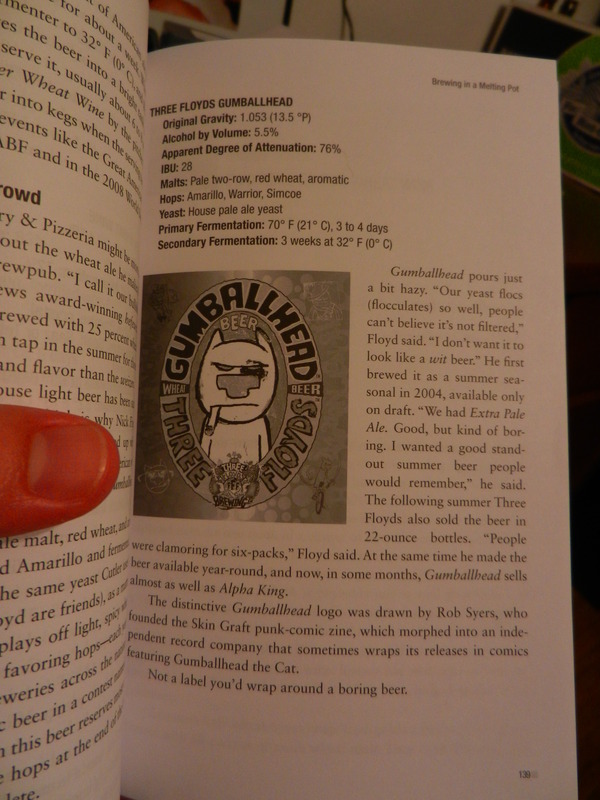 I’ll post a few relevant pages of both and hopefully my favorite brewcasters and my Cicerone Godfather don’t get too upset. Daniels seems to have taken a little more hop forward approach, which is something I’ll steer clear of to start with. If anything I’ll keep the bittering charge around 18 IBU & do a whirlpool or dry hop addition of something fun & fruity. Motueka comes to mind. 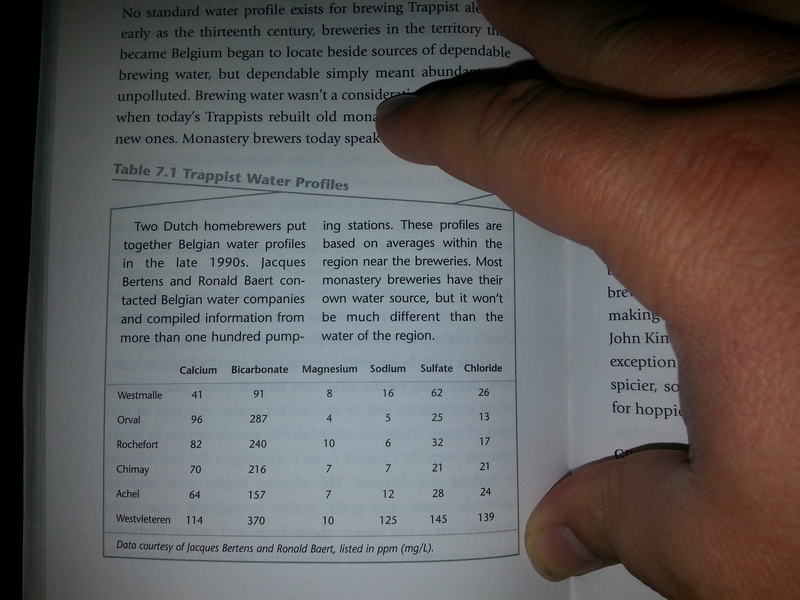 The other thing that stands out to me is the Munich water profile that Daniels shares. 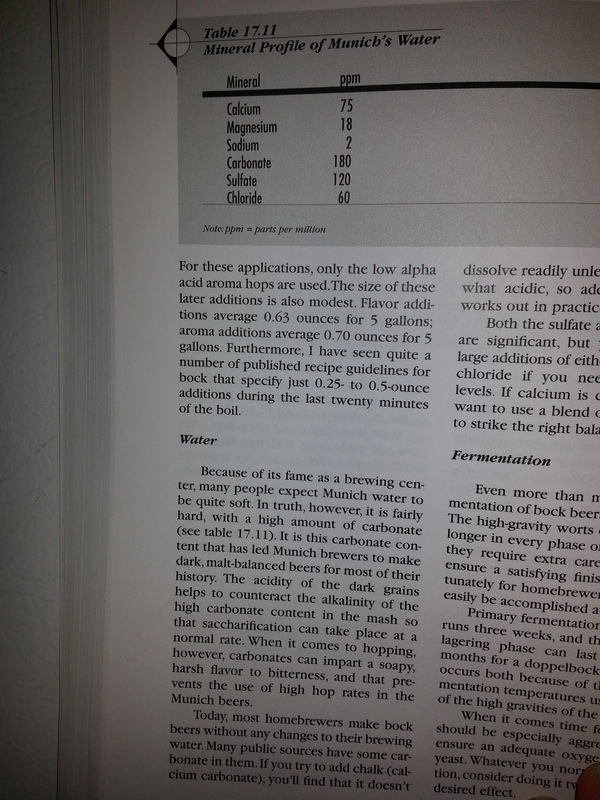 A 2:1 Sulfate:Chloride ratio should make for a more dry & bitter tasting beer if anything Jamil & Palmer have taught me is true. Munich Helles – Med mineral content water, 50-70ppm Ca levels, now you want Chloride to dominate more than Sulfate, softer less bitter, build Ca level with more CaCl. Palmer isn’t very specific about what ratio should be shot for so I’ll probably shoot for 1.5 times more Chlorides than Sulfates. I’ll also use RO water directly from Big Dog’s so that whatever water profile I end up with is as close as possible to doing a 15bbl batch. 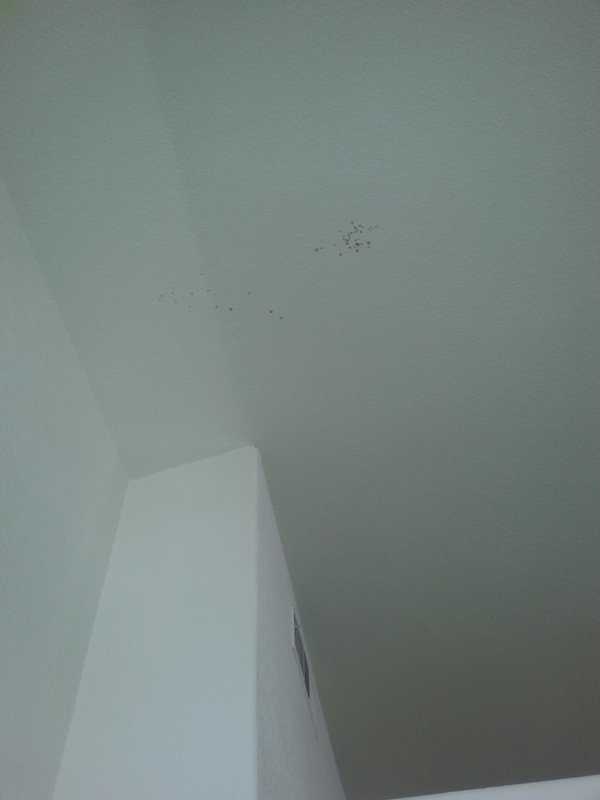 I’ll likely also sparge with RO as a scientific-minded buddy of mine thinks that is the way to go. Any mineral additions meant for post-mash will go into the ‘kettle’. It is at this juncture that I wish I were the R&D brewer for some place like White Labs or New Belgium. I’d love to try the same recipe with a ton of different yeasts, water profiles, fermentation temps, etc. We’ll see what I can get my bad self into. 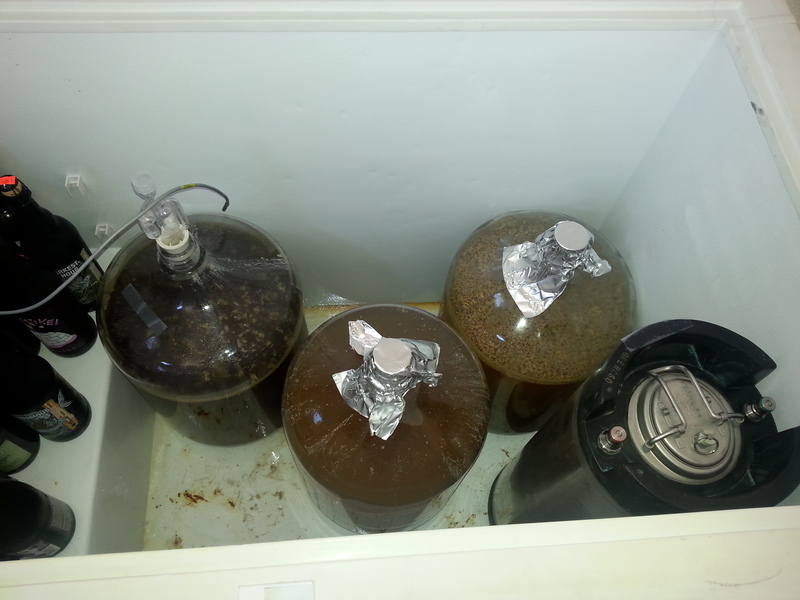 My freezer will only fit 3 or 4 carboys at time. 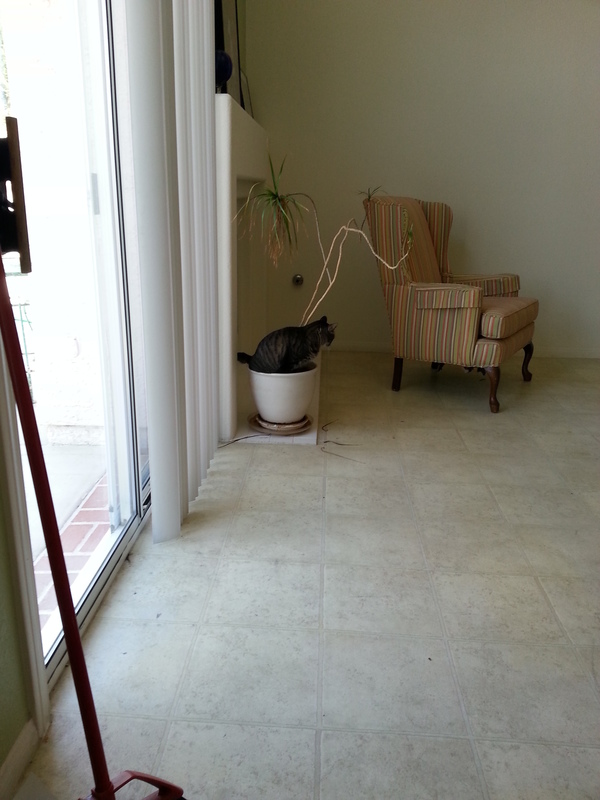 It’s a hard knock life. Daniels definitely seems to hop a touch more aggressively, as he addes 20 & 5 minute additions. 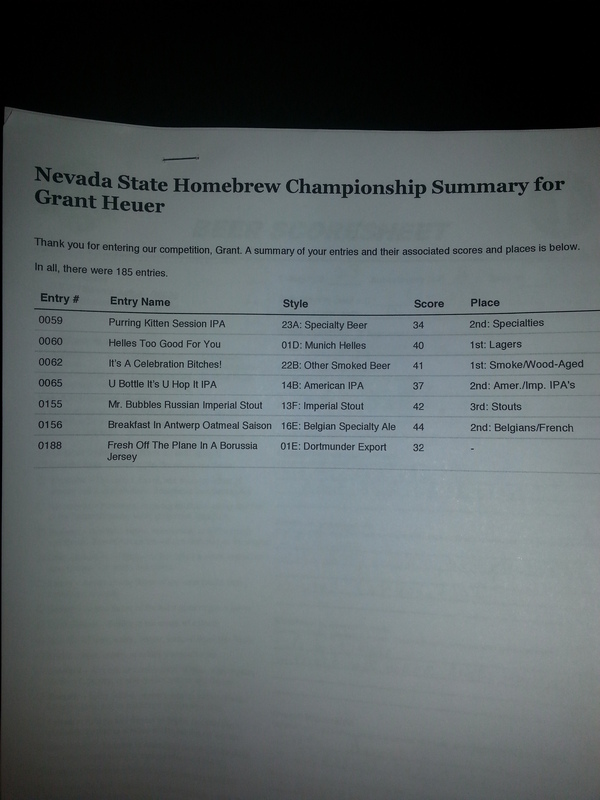 I also found a recipe on Homebrew Talk that looks interesting and the NHC site has recipes for Gold medal winning Helles recipes from ’07, ’11, & ’12. 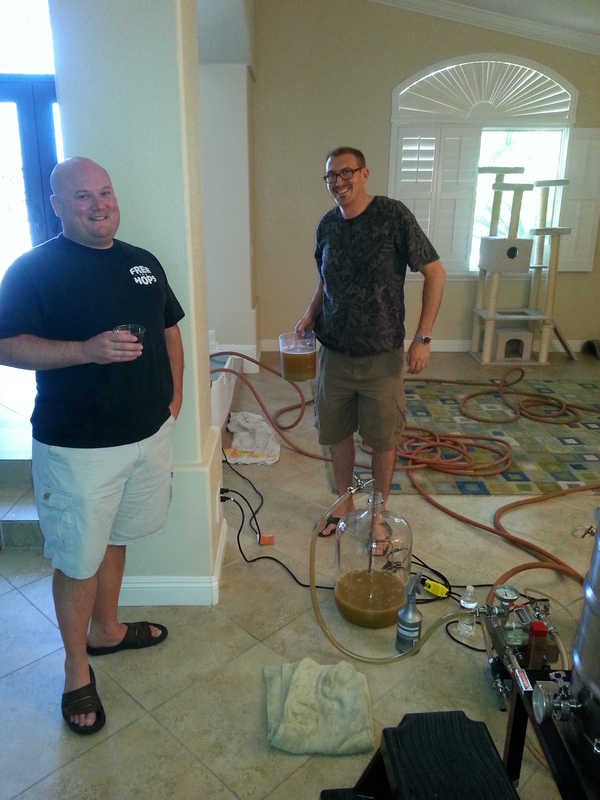 Also, I re-listened to a little bit of the old Brewing Network Jamil Show Helles episode where Jamil & Jon Plise started discussing the merits of protein rests, carafoam, etc. A very worthwhile listen if you’re crafting your own crack at the style. Hopefully all the resources I’ve hunted down are pretty good for pointing not only myself, but anyone else interested in brewing this style in the right direction. I personally think the style has some potential openings for some good old Americanizing with dry hopping, but that’ll come in due course. 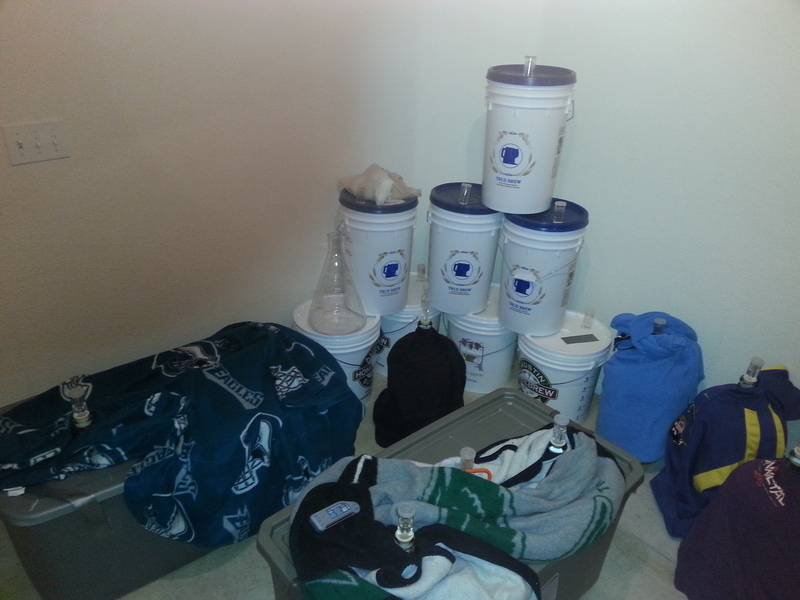 Finally, I’ll be going with Jamil’s recommended yeast strain WLP 838 Southern German Lager for the first brew. White Labs rates it perfect for the style. I also have WLP 830 German Lager (which rates a 2 of 4 for Helles by White Labs) and WLP 833 German Bock Lager (which rates a 4). 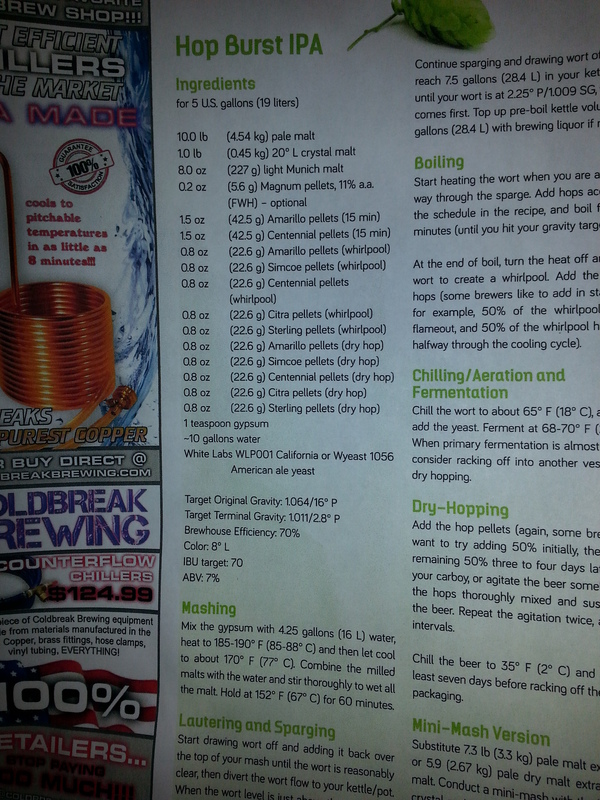 It’d be interesting to brew the same recipe on all 3 strains, although I doubt I’ll have that level of discipline. Well, that’s all the Helles talk I have for now. I’ll report back when I’ve started cranking out brews! 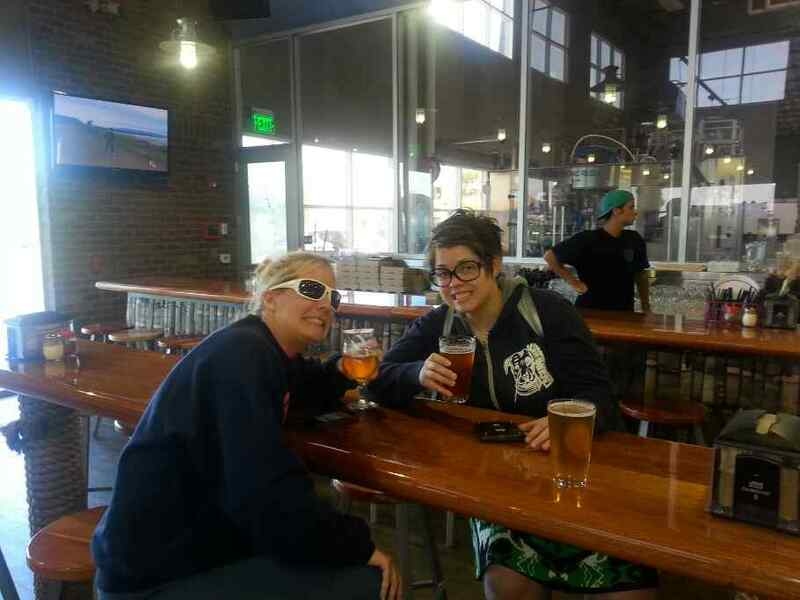 I’ll leave you with a pic of my lady Rachel AKA Penguin and our good buddy Sarah doing some solid day drinking at the new Pizza Port location in Carlsbad (which is awesome by the way). Be well brewing brothers and sisters!